Bad news always slides under the door at the end of Friday, and today's was a rumor of some kind of quasi -bankruptcy for the cloud gaming service OnLive and, more importantly, mass layoffs of its employees. 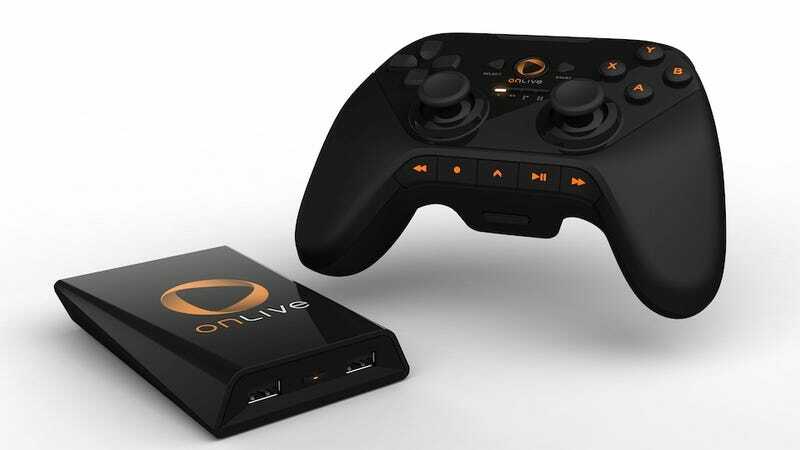 After a series of officious no-comments to reporters, OnLive has issued a statement confirming that its sale to a third party, as originally rumored, has gone through and that "there is no expected interruption of any OnLive services." [Correction] An earlier version of this story and its headline incorrectly described the acquisition of OnLive's assets by a new company as a "sale." The assets were assigned to an unidentified third party under a type of state-level bankruptcy protection. The original story continues. As for those employees said to be carrying out their belongings, well, OnLive's statement hints they might be hired back by whomever owns the joint now. Here's the full statement from the company. We can now confirm that the assets of OnLive, Inc. have been acquired into a newly-formed company and is backed by substantial funding, and which will continue to operate the OnLive Game and Desktop services, as well as support all of OnLive's apps and devices, as well as game, productivity and enterprise partnerships. The new company is hiring a large percentage of OnLive, Inc.'s staff across all departments and plans to continue to hire substantially more people, including additional OnLive employees. All previously announced products and services, including those in the works, will continue and there is no expected interruption of any OnLive services. We apologize that we were unable to comment on this transaction until it completed, and were limited to reporting on news related to OnLive's businesses. Now that the transaction is complete, we are able to make this statement. Bottom line, whatever you have through OnLive now isn't going away, but that's coming from the old company—not the new one.